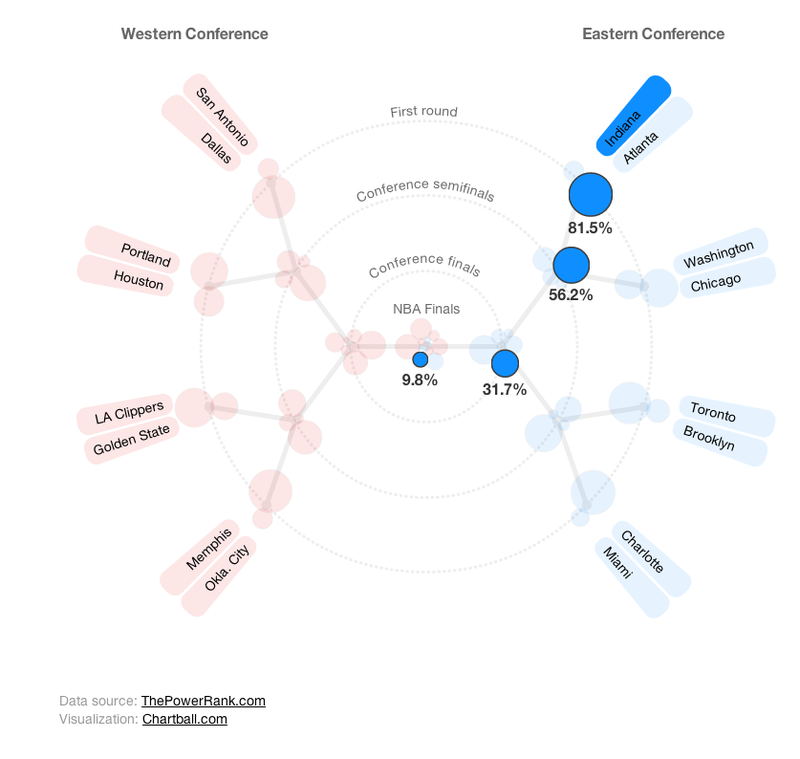 Our friend Ed Feng at The Power Rank, along with Andrew Phillips from Chartball, put together an interactive that shows win probabilities for the NBA playoffs, all the way through to the finals, weighted heavily by adjusted strength of schedule. Feng made a similar interactive for the NCAA tournament, but the smaller field of the NBA playoffs gives room for some improvements, like being able to compare the size of bubbles at each round to see the relative win probabilities. Because it's dealing with strength of schedule, eastern teams probably take a little too much of a hit in the overall championship chances, but with how Miami and Indiana have been playing, maybe not. Either way, it's worth a minute or two to head over to The Power Rank and screw around with it.